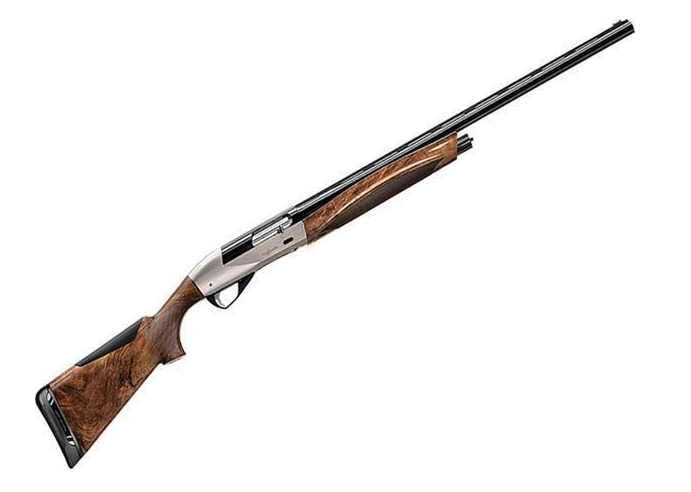 There’s a lot to like about Benelli and their world-class firearms. Bruno Civolani’s unique system is what gives Benelli firearms an edge over any other similar type of shotgun. This system relies on the immutable laws of physics, which is why it does not fail. The force of the shot actually enables quicker reloading and far less recoil, and it provides shooters with a way of releasing 5 shots in the space of a single second. The design of the inertia-driven system is extremely reliable, and it also requires no maintenance. It is relatively simple, and it only utilizes eight components. This means that there is a lot less that can go wrong, and that any troubleshooting (pardon the pun) can be done easily and efficiently. Benelli was established in 1911, one of Italy’s oldest and most respectable motorcycle repair shops. Later, ‘Benelli’s Garage’ turned into a motorcycle manufacturing business, and later still it branched into a firearms manufacturing business. Benelli shotguns and rifles are known all over the world, for their unique and innovative designs. 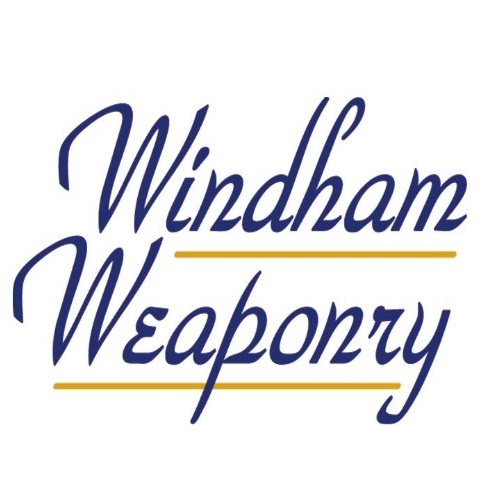 It is a groundbreaking company, which sets new standards in the field of firearms engineering and manufacturing. The Benelli company began as a small family venture, consisting of the six Benelli brothers: Giuseppe, Giovanni, Francesco, Filippo, Domenico, and Antonio aka ‘Tonino’. The brothers began to provide repair services for motorcycles and bicycles in their Garage, and later on began manufacturing their own motorcycle models. At the behest of their mother, Teresa, the two older Benelli brothers traveled to Switzerland to study engineering. Meanwhile, the other brothers continued to service and manufacture motorcycles. The youngest brother, Tonino, adopted the nickname “The Terrible”, and began making a name for himself in the racing scene. His success was cut short, however, after a severe crash. He is still considered by many to be a pioneer, and he was one of Italy’s finest racers. Fast forward, to 1967. After two World Wars, and much advancement in the field of engineering, the brothers – who were also avid hunters – decided to turn their attention to firearms. They were fine engineers, and they could read the patterns around them. The Benelli brothers made an educated guess, and felt that the future of hunting will belong to semi-automatic shotguns. At this point in the story comes a game changer: a man. A designer, by the name of Bruno Civolani. 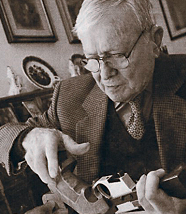 Civolani invented an inertia-driven action system, and the brothers teamed up with him to create the world’s first inertia-based shotgun. Gas-operated shotguns were the standard at the time, and the brothers had given the shooting public something completely different. It was the fastest-shooting shotgun the world had ever seen, and it was nothing short of a revolutionary feat. Over the years, more and more semi-automatic shotgun designs have been added to Benelli’s expanding and prestigious line of firearms. 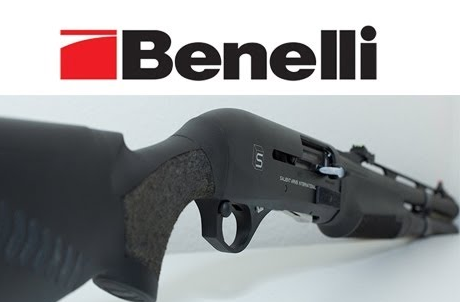 In 1983, the Benelli firearms division was acquired by Berretta, another Italian firearms company, who is one of the oldest weapons manufacturers in Europe. Berretta is nearly 500 years old (Est. 1526), and is still making major advancements in the field of firearms. It has supplied weapons and related paraphernalia to millions, and has been involved in every major European war since the 16th century. After producing shotguns for almost 40 years, Benelli introduced its first semi-automatic rifle in 2002. Once again, Bennelli proved it was ahead of the curve, by introducing their auto regulating gas operated (ARGO) system. 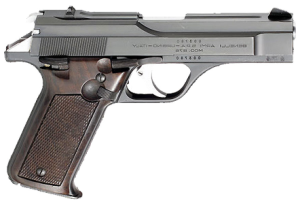 The Benelli company also manufactures pistols, target pistols, air pistols, and at one point there was even a design for a Benelli submachine gun, though it never did make it to the prototype stage. Introduced in the 1980’s, come in 12 or 20 gauge. It is a semi-automatic shotgun. The M1 accepts anything from small loads to 3-inch magnums (but not the 3.5 inch ones). Now discontinued. 12 gauge – M2, Comfortech, Comfortech Compact, Wood, Tactical, Slug, Practical Comfortech, and Comfortech Camo. 20 guage – Comfortech 20, and Comfortech 20 Compact. This is another precise definition of the term ‘badass’, and is one of Benelli’s flagship products. This semi-automatic combat shotgun was introduced in 1999, and was quickly adopted by the United States Marine Corps, other branches of the U.S. Armed Forces (designated number M1014), and by the Los Angeles Police Department. This firearm was the company’s first attempt at a gas-operated shotgun. It features Benelli’s “auto regulating gas operated” (ARGO) system, which has only four components. It is equipped with a ghost ring sight, as well as a picatinny MIL-STD-1913 rail. Shooters are able to mount scopes, sights, night vision devices, or other accessories – without removing the original sights. Benelli’s M4 has a 5+1 capacity, with the option of an extension tube, which adds two additional shells to your count. The M4 is one of Benelli’s most popular models, and it is used by over 20 different countries, including Brazil, Israel, the UK, Italy (of course), and as mentioned earlier, the United States. It is a Special Forces/SWAT team favorite, especially in its M4 Entry configuration. Another variant is the M4 Tactical. The civilian M4 is also available with pistol grip or telescopic stock. Benelli feels that collapsible buttstock shotguns are not to be sold to civilians, even though their sale is no longer prohibited in the United States. The M4 Entry and M4 Tactical models are currently available only to law enforcement, government, and military personnel. For civilians who are interested in a collapsible stock for their M4, there is always the option of buying a stock piece from Benelli, and then fitting it on. A quick note on tactical weapons and shorter barrels: remember to check and abide by your local laws and regulations. Short-barreled shotguns (SBSs) and short-barreled rifles (SBRs) must be registered with the Bureau of Alcohol, Tobacco, and Firearms (ATF), in accordance with the National Firearm Act. This normally requires payment, a waiting period, and a tax stamp which allows you to carry a specific firearm. Okay, back to the lineup. 12 gauge semi-automatic. It accepts just about everything, from smaller loads to 3.5 Magnums. 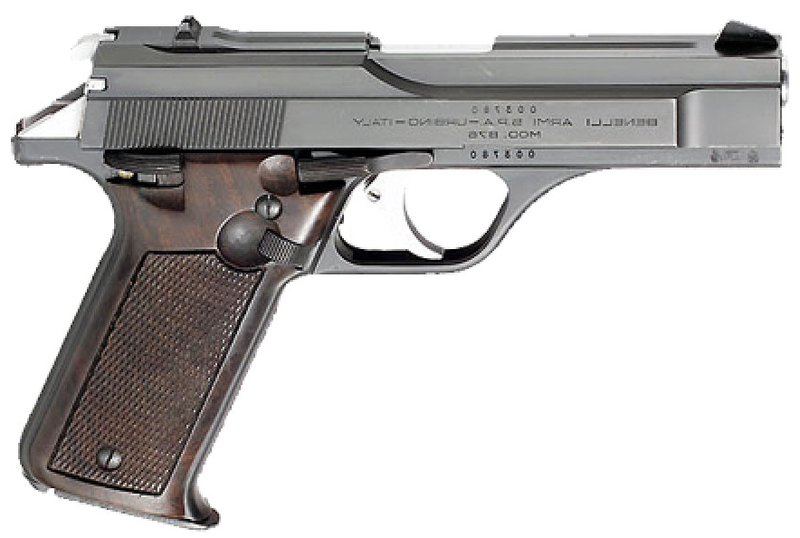 A very versatile and reliable weapon, which was discontinued with the arrival of the Super Black Eagle II. Introduced in 2014, this is a 12 gauge semi-automatic. It is based on a new kind of platform, and is considered by Benelli to be the signature next-generation semi-automatic shotgun. The ETHOS features improved ergonomics, adjustability, and a patented recoil reduction system. The stocks are crafted from European walnut, and are designed specifically for the new recoil management capabilities. Benelli thought of everything with this one, and it shows. The ETHOS is available in 12 gauge, 20 gauge, and 28 gauge models. 12 gauge, Benelli’s only O/U shotgun, and it is one for the books. It is available in standard or Black, and chambered in 3″ magnum. A pump action shotgun, which comes in several models. A semi-automatic rifle, which uses Benelli’s auto regulating gas operated system. Chambered in several gauges, it includes the following models. A younger sibling of the ARGO, this 5.56mm rifle is a gas-operated, semi-automatic only shotgun. It has several variants. 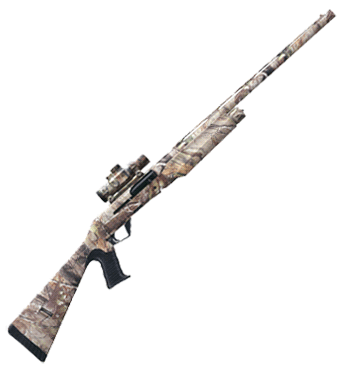 Barrel lengths are 12.5”, 16″ and 20″ inches, with two different stocks available: standard hunting rifle stock, sporting stock with fixed buttstock and pistol grip. The 12.5 inch barrel is threaded and features a removable muzzle brake. The MR1 has a MIL-STD-1913 “Picatinny” top rail, with side and bottom and fore-end rails optional. A 25-meter target pistol, meant for sport shooting. Tough and durable, it has fully adjustable sights, trigger and anatomically shaped grip. A newer version of the 90S, also meant for 25-meter events. It lacks the palm shelf, but has a top which features several rails for mounting accessories. A 10-meter air pistol, meant for sport shooting. Also includes the Kite Young, a smaller and more lightweight version of the Kite. These models are available in three sizes and are designed for left and right-handed shooters. One of Benelli’s only flops. The CB M2 was a heavy-duty submachine gun, designed in the 1980’s. Its operation was standard, using the popular blowback action. What made this submachine gun unique is the cartridge which it was designed to fire. That round is the 9mm AUOP, which is a caseless round. It probably would have been quite a sight to see this piece of weaponry in action, but the CB M2 didn’t find any buyers, and the project was eventually abandoned. Benelli has been making quality firearms for over 100 years, and they continue to be a symbol of innovation, excellence, and progress in the field of firearms engineering. Benelli shotguns, rifles, and pistols are all guaranteed to be free of defects in materials and craftsmanship for a period of 10 years. The company will repair or replace a firearm without charge, if it is still under warranty. Benelli’s firearms are on the pricy side, there is no denying that. However, if you are looking for quality, comfort, and a premium shooting experience, there is nothing that can top the battle-proven, dependable, reliable Benelli firearms. Their mechanisms are simple, elegant, powerful, and accurate. Whether you are law enforcement, military, government agent, or simply an outdoorsman, a hunter, or a self-defense-minded civilian – Benelli has got your back. Check back for more on all things guns here at Gunivore! American Tactical Imports Review: Cheap Foreign Firearms?